To be honest I’m not a huge muffin fan. I make them but they aren’t my favourite thing to eat especially for breakfast. I like something with a bit of heft to it or I tend to want to gnaw on my own hand by about 10:00. 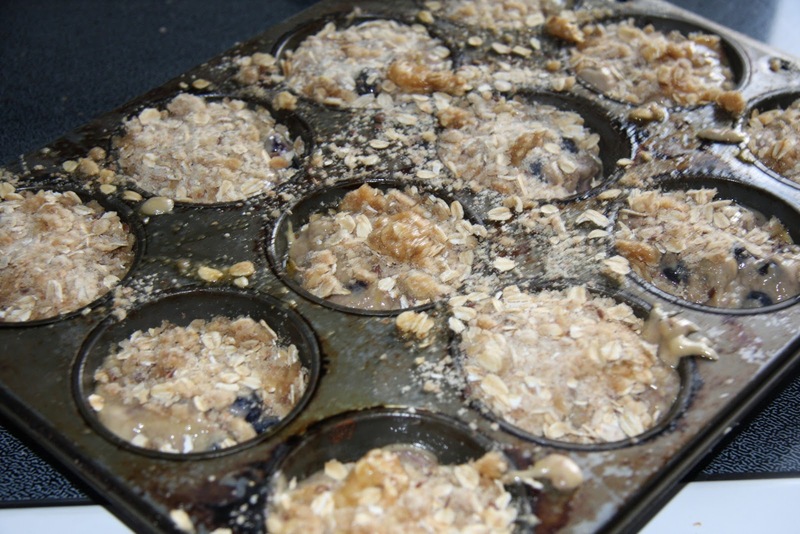 However, I decided to give blueberry muffins another go. 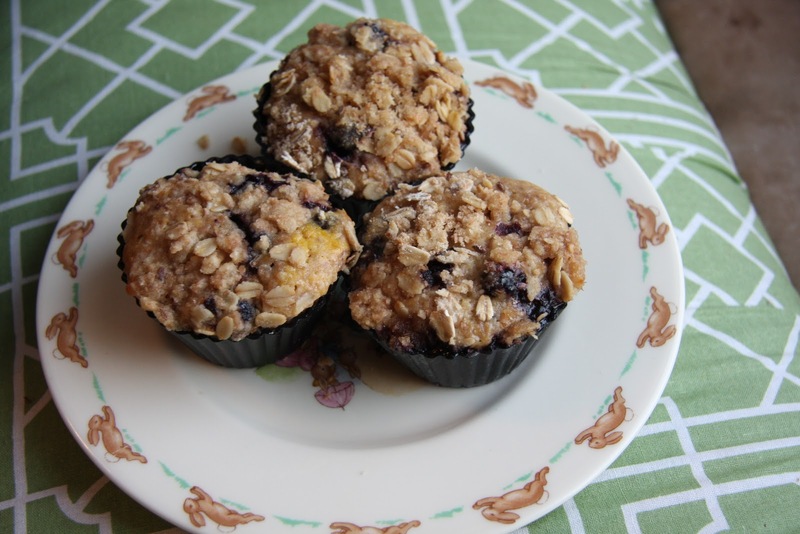 This recipe makes a wopping 24 muffins-12 just doesn’t cut it for us around here. In my big green bowl I’ve got; 4 cups flour, 2 tsp. 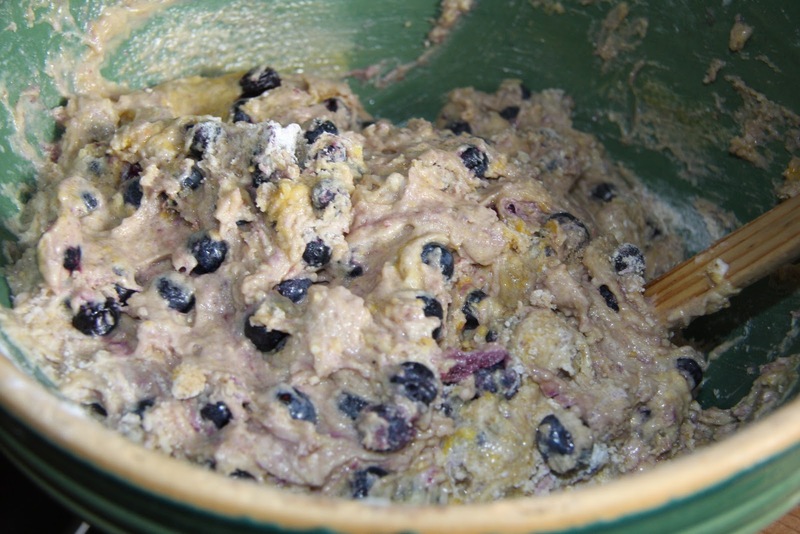 baking powder, 1 1/2 cup brown sugar (yes, brown-they’ll fill me up since they’ll be heavier), 4 cups blueberries. 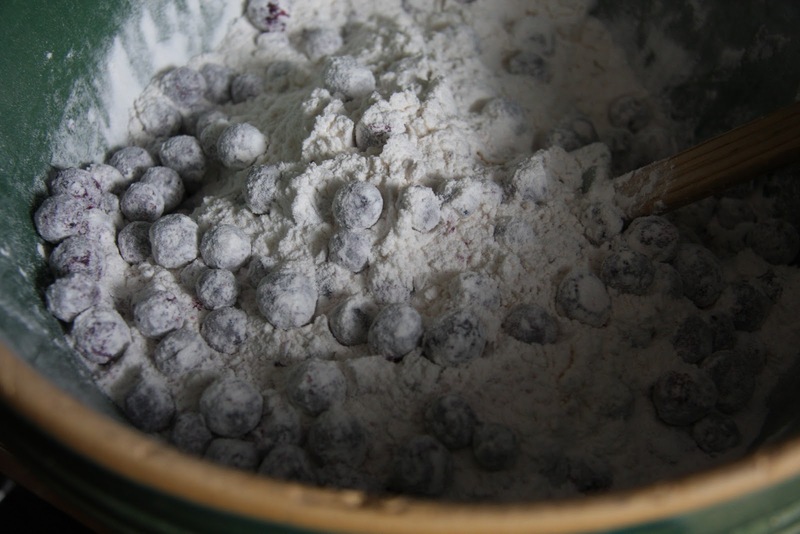 Mix together so that all of your blueberries are covered and they won’t sink to the bottom of your batter. Add; 2 eggs, 1 cup yogurt and 1/3 cup of oil. Next, a nice streusal topping. When I was figuring out this recipe I made WAY too much (see the bowl) but this has a happy ending, just keep reading. 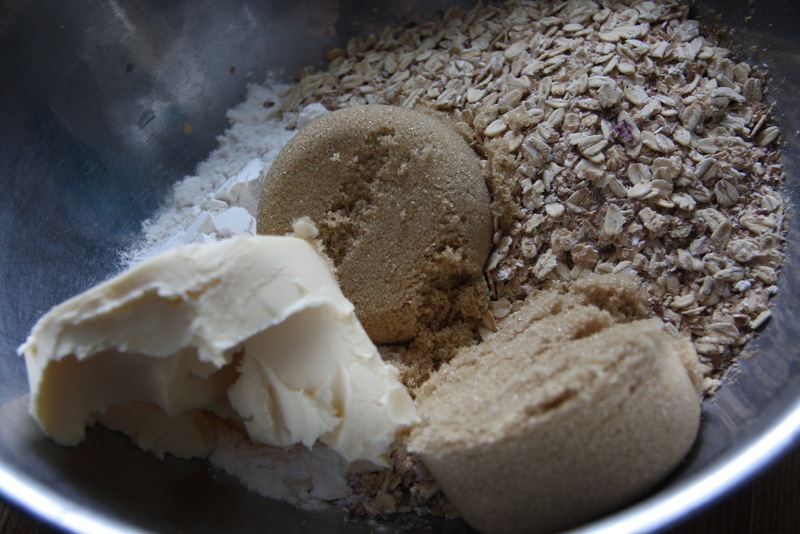 Take 1/4 butter, 1/4 cup flour, 1/4 cup brown sugar and 2/3 cup of oats. Rub together. 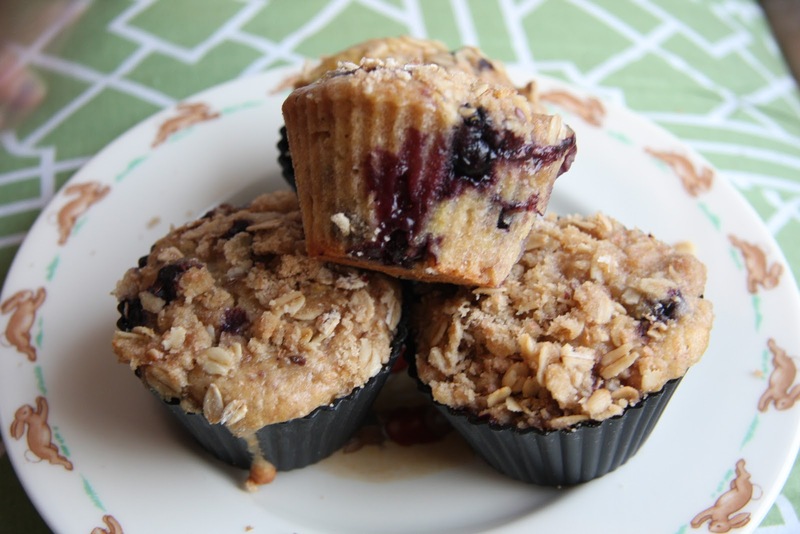 Top your muffins and bake for 30 minutes at 330 or until a knife comes out cleanly. But what about that extra streusal? 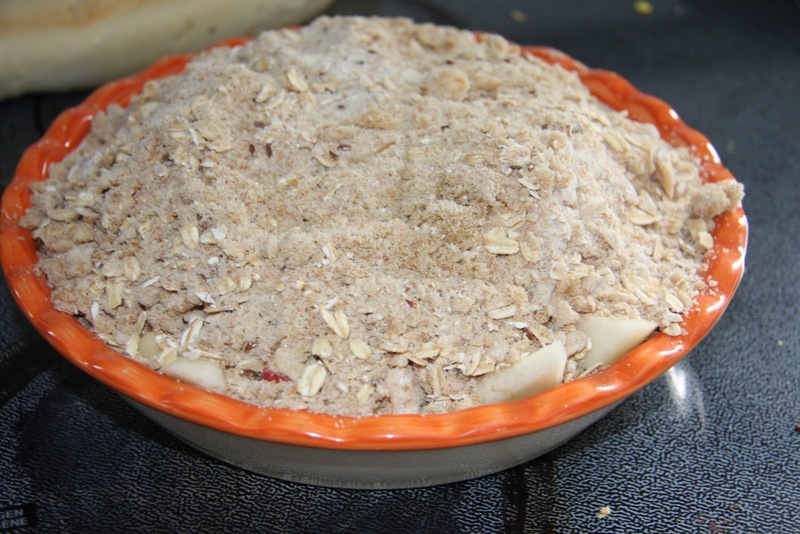 I filled a deep pie dish with sliced apples, a sprinkle of sugar and cinnamon and topped it with my leftovers. 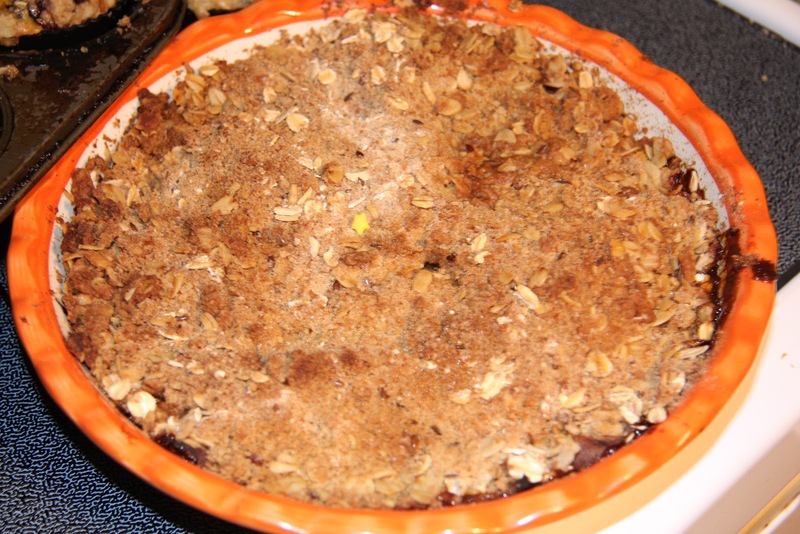 Bake until the apples get soft and bubble. My happy breakfasts this week. 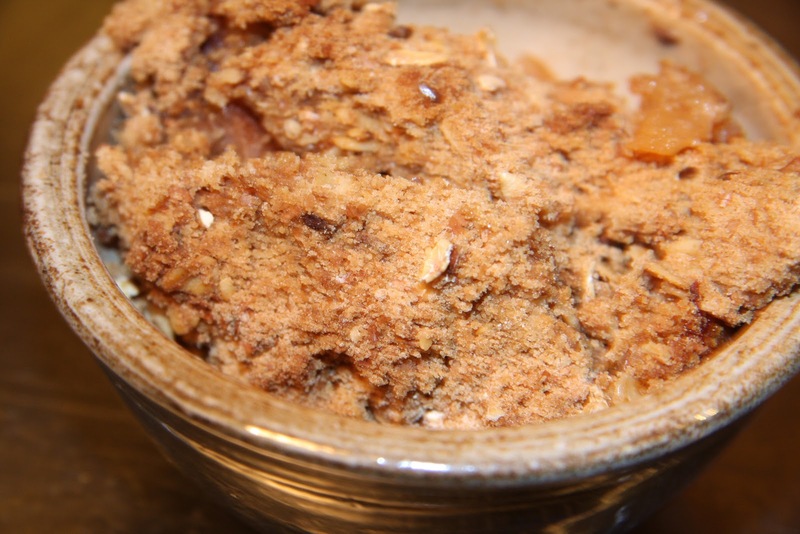 My even happier accident of apple crumble. I’ll be virtuous this once and forgo custard on the top.